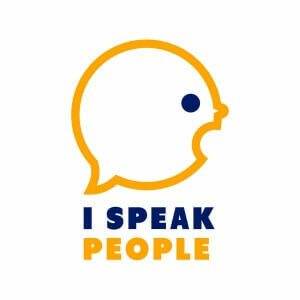 How do you find your passion and the work that you were meant to do as an INFJ? This is an important question that many of us are asking, perhaps even after going into what we thought would be our life’s work. INFJs have numerous interests as well as high expectations for what they want out of life, the curse of idealism. And in our current age, culture is telling us that we need to find our fulfillment and identity in what we do. But is that too much to ask of a job? While wrestling with the role of work and passions as sources of meaning and fulfillment, I learned a great method for finding suitable work as well as some perspective on the role and purpose of work. First, you’ve got to determine what you think you and other people say you’re good at. What other’s say and think is important. If you think you’re a great athlete but the people who know you best disagree, you probably should pursue something else. When you’re sorting through what you’re good at, think through your INFJ strengths and consider what people come to you for help with. But don’t completely limit yourself to what other people think and say either: they may be overlooking some of your greatest gifts. When it comes to affinity, think about what you keep coming back to, time after time. What could you learn about for five years or more without getting tired of it? It’s okay to have multiple interests and keep investigating, but what do you want to understand better than anything else? Hint: It’s probably some interest that will enable you to better serve others. And think about the overlap of interest and ability. Before getting into blogging, podcasting, and YouTubing, I had a passion for guitar. At the same time, I couldn’t learn enough about personality. Ultimately, I opted for writing and sharing about personalities – the INFJ in particular – because that’s where my gifts are strongest. In addition, we INFJs need a certain level of variety and opportunity in our lives and work. So seek out avenues that enable you to continue learning and developing new skills and abilities. Doing so will help you ward off boredom. The last of Keller’s elements is opportunity. Even if you’re very good at something, others confirm this, and you love doing it, you still need an open door. Your time, place, and relationships will all play a role in your opportunities. Fortunately, we live in a rapidly changing world, and, thus, we have many exciting opportunities that weren’t available to us in the past. Creating an internet business, for example, is far easier than it’s ever been before, and there are more and more opportunities to pick up various projects and work from home. Don’t limit yourself to traditional work. Explore. But at the same time, be strategic, and think carefully about the time, money, and relational costs of pursuing various kinds of work. I say this because, at the end of the day, you and I have to pay the bills. So make sure to crunch the numbers and determine if your passion makes financial sense. Your introverted intuition (Ni) will be happier if you take care of your extroverted sensing (Se), day-to-day practical needs. I like to ask a trusted ISTJ or ESTJ for input, seeing as they’re such down-to-earth, realistic types. They help me nail down details and think about potential challenges that don’t initially come to mind. Just take care to guard your dreams and visions when sharing because STJs won’t at first understand. Finally, you can figure out these elements in any order. Sometimes, Keller says, you figure out what you’re good only after you’ve stepped into an internship (opportunity) or dived deeper into a personal passion. If your current job isn’t your favorite, remember that all work that meets real needs in the world in an ethical way is noble. That’s one of the best messages of Keller’s book. If you don’t love your work, that doesn’t mean you’re a failure. You are so much more than the work you do, even if you love it and are great at it. Even the best, most enjoyable jobs tend to overpromise and underdeliver. They won’t ultimately meet all your needs and make you completely happy no matter how much time and attention you devote them. Still, at the same time, as you’re working at your current job, it’s okay to explore and prepare for other work opportunities. Find out where your gifts and interests lie and gear up to pursue a passion. If you’re going to spend more than half of your waking hours at work, you might as well enjoy what you do. But be patient, and avoid putting all of your hopes and dreams in a future occupation. Want to find your passion and work that you love doing? Made for This! 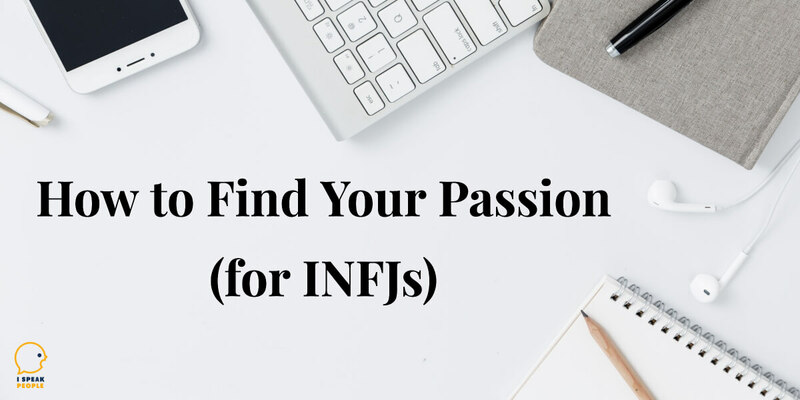 the INFJ career course can help you find your passion. Click here to learn more.